Your full spouse’s benefit could be up to 50 percent of your spouse’s full retirement age amount if you are full retirement age when you take it. If you qualify for your own retirement benefit and a spouse’s benefit, we always pay your own benefit first. You cannot receive spouse’s benefits unless your spouse is receiving his or her retirement benefits (except for divorced spouses). If you took your reduced retirement first while waiting for your spouse to reach retirement age, when you add spouse’s benefits later, your own retirement portion remains reduced which causes the total retirement and spouses benefit together to total less than 50 percent of the worker’s amount. You can find out more on our website. Knowing how your finances affect your spouse’s can help both of you avoid future impacts on your incomes. When it comes to information, we have over 80 years of experience. Access a wealth of useful information by visiting our benefits planners. This entry was posted in Retirement and tagged benefits from spouse, retirement, Social Security benefits, spousal benefits, spouse by Jim Borland, Acting Deputy Commissioner for Communications. Bookmark the permalink. Are you kidding. You need a lawyer to understand this stuff. I read it 3 times and I am still confused. I am 65. I was married for 16 years to first husband. We divorced and he died at age 50. I remarried at age 47. I took my SS early at age 62. We are now divorcing, and I want to know if I can take my 1st husband’s SS instead of mine if it is more than mine? Thanks for your question, Cher. To be eligible for divorced spouse benefits, the marriage had to last for at least 10 years. Generally, we cannot pay benefits if the divorced spouse remarries someone other than the former spouse, unless the latter marriage ends (whether by death, divorce, or annulment). For more information on how someone can qualify for divorced spouse benefits, visit our Benefits Planner: If You Are Divorced. For specific information about your case, call us toll-free at 1-800-772-1213. Representatives are available Monday through Friday, between 7:00 a.m. and 7:00 p.m. or contact your local Social Security office. Hope this helps! I am divorced and getting the spouse benefit. I will be 70 this year and will want to pull my own benefits at that time. Do I get both my benefits and spousal benefits or only one of them? Hi Doug, thank you for your question. You may be able to get spouse’s benefits but, under existing law, if you are eligible for benefits both as a retired worker and as a spouse, you must apply for both benefits and you’ll receive the higher of the two benefits. This requirement is called “deemed filing” because when you apply for one benefit you are “deemed” to have also applied for the other. However, if you turn 62 before January 2, 2016, deemed filing rules will not apply if you wait to file at your full retirement age or later. This means that you may file for either your spouse’s benefit or your retirement benefit without being required or “deemed” to file for the other. It sounds like this may be your situation. If so, you can switch over to your own retirement at any point in time, or at age 70. This means you will no longer receive the spouse’s benefit. See our Deemed Filing For Retirement And Spouse’s Benefits FAQs web page for details. My spouse took early retirement at her age 62…..I took retirement at 65, not full retirement at 66. My question is ….. If I die first is my wife entitled to any more than she is currently receiving? Your spouse will then receive your amount, that’s all. Hi Peter, thank you for your question. If you are already receiving reduced benefits when you die, survivors benefits are based on that amount. Widows benefits are payable as early as age 60 (for a reduced benefit) or a full widows benefit at full retirement age or older. I am a graduate of a world-renowned university, and after reading this three times, I still don’t really understand it. Maybe try a flow chart?? I agree. Doesn’t live up to its title. Maybe this is the government shut-down version. It should start with the normal and then go into exemptions. It starts out confusing. Not written in a way that an average person, who isn’t an expert at Social Security benefits, can understand. Perhaps some examples would help. This topic involved too many contingencies and a change in the law effective 2016. It should have been broken into subtopics. However, better information is available at the ssa.gov Benefits Planner pages. This was too ambitious an attempt in a limited format. Specifically, how does it work if a wife was on disability at about age 58 and then when spouse retired with full benefits, there was an increase for wife. However, if a divorce happens, does divorced wife still receive 50% of ex-spouses social security amount? Hi Judy: If divorced and remains unmarried, the wife may continue to receive benefits as a divorced spouse if their marriage lasted 10 years or longer. See our Retirement Planner: If You’re Divorced for other eligibility requirements and more detailed information. Hi Theresa, thank you for the question. You must wait for your ex-spouse to qualify for retirement benefits, but he doesn’t have to apply, if you have been divorced for at least two years. Also, keep in mind that we will always pay your own retirement benefit first. If your benefits as a divorced spouse are higher than your own retirement benefits, you will get a combination of benefits equaling the higher divorced spouse benefit. The divorced spouse’s benefit cannot exceed one-half of your ex-spouse’s full retirement amount (not their reduced benefit amount). So, you can only receive additional divorced spouse’s benefits if your own full retirement benefit (not your reduced benefit) is less than half of your ex-spouse’s full retirement benefit. Yes I have a question I was recently divorced and I want to know why I’m not receiving my ex social security. Had to be married 10 yrs, and meet age requirements. If you file for his, you also file for yours, and you only get the higher one. Hello Dawn, thank you for your question. We will always pay your own retirement benefit first. If your benefits as a divorced spouse are higher than your own retirement benefits, you will get a combination of benefits equaling the higher divorced spouse benefit. However, your divorced spouse’s benefit cannot exceed one-half of your ex-spouse’s full retirement amount (not his reduced benefit amount). So, you can only receive additional divorced spouse’s benefits if your own full retirement benefit (not your reduced benefit) is less than half of your ex-spouse’s full retirement benefit. To inquire about potential benefits, call our toll free telephone number at 1-800-772-1213 for further assistance. Representatives are available Monday through Friday, between 7 a.m. and 7 p.m. or contact your local office directly. I found this post to be extremely confusing. The use of the word spouse, is of course correct, but using it for both parties in a discussion about one versus the other is hard to follow. Maybe say the first and second or use an example like John and Mary. This explanation is very confusing! After I retire at 66.2 years how much of my retirement would my wife be entitled to in case of my death? Whatever you are getting when you die. But not both. Hers goes away. Hi Ron, thank you for your question. Your wife’s survivor amount is based on your earnings. The more you paid into Social Security, the higher her benefit will be. If you are already receiving benefits when you die, survivors benefits are based on that amount. The percentage of that amount that your wife would receive depends on how old she is when she files as a widow. I retired at full retirement age. My spouse is 9 years younger than I am. He retired early. His benefit is substantially less than mine. He receives some small amount for being my spouse and a small benefit based on his own earnings. If I die before he does, will his benefit be increased? Will he receive the same amount I do now? Today, our combined income allows us to live a lower middle class life, but without my larger social security benefit, it would be difficult. Thanks. Hi Ola, thank you for your question. Your husband’s survivor amount would be based on your earnings. The more you paid into Social Security, the higher his benefit will be. If you are already receiving benefits when you die, survivors benefits are based on that amount. The percentage of that amount that your husband would receive depends on how old he is when he files as a widower. We are only going to pay the highest benefit amount from either record, meaning you don’t get both retirement and widow(er)s benefits but the higher of the two. Widowers benefit are payable as early as age 60 (for a reduced benefit) or a full widowers benefit at full retirement age or older. “Your full spouse’s benefit could be up to 50 percent of your spouse’s full retirement age amount if you are full retirement age when you take it.” This as well as other sections of this “explanation” are nearly impossible for even fluent English speakers to comprehend. I have asked three of my peers who are college grads to explain this to no avail. Please have this re-written and presented in a more understandable format. I read it three times and i cannot make a bonafide guess at what you are trying to say, other than confuse all of those that read it. maybe you can get a 5th grader to de-cipher and re-write it in “LAYMANS LANGUAGE” what you are tring to put across. Your spousal supplement could cause your monthly benefit to be 50% of your spouse’s benefit, but only if you both wait at least to your FRA to begin. If you start early, you will be penalized. Good article. I was unaware of the 5% of deceased spouse FRA benefit being available to the surviving spouse, even if the deceased spouse took early SS benefits. This is a very confusing article. “The spouse” is used more than once in a sentence, and it is difficult to know if you are referring to the same spouse or the other one. Perhaps you could ask some non-experts in ss to read it over to check for clarity. Neat kids program! Bet she did well. They cast me as King North Wind at Effingham, if I remember correctly. I was pretty shy in those days, but managed to get thru it. Will both husband and wife receive their whole benefit check when both are alive and both have retired, one at 65 yrs and the other at 70 yrs? Hi Donna. If husband and wife both worked and paid into Social Security, then both would file for retirement benefits on their own record. Check out our Retirement Planner for additional retirement information. Terrifically NON-useful post …. overuse of spouse … can’t tell which person you are referring to. Needs clearly delineated as worker & spouse and/or “person A” (worker) and “person B” or similar. I can’t tell who is the worker and which required first etc. What wold I receive if Travis should die? Hi Marian, thank you for your question. A survivors benefit amount is based on the deceased’s earnings. The more they paid into Social Security, the higher the survivor benefit will be. If the deceased was receiving reduced benefits prior to passing, survivors benefits are based on that amount. Good morning, I watch last night about 12:20 am NZ time, all about the speech of Mr. Wilkie and Ms. Davis and I spoke to one Lady at the confidential crisis tel. no. I said my “Medicare A” card was expired need one to used for my thyroid to fix.I did not change my name on my loss Soc. Sec. Card and never applied for any benefits. Whoever using my identity, please cooperate to me in finding the ages solutions. Thank you. What happens when the retiree and or spouse draws a federal retirement check in their own right? Why don’t you explain why a retired federal retiree cannot draw survivor benefits of the spouse? Hi Lesley: Some federal employees and employees of state or local government agencies may be eligible for pensions that are based on earnings not covered by Social Security. If they didn’t pay Social Security taxes on their government earnings and they are eligible for Social Security benefits, the formula used to figure their benefit amount may be modified, giving them a lower Social Security benefit. For additional details, check out our Information for Government Employees web page. Please clarify the statement: “For example, you are eligible for $400 from your own retirement and $150 as a spouse for a total of $550.” versus the website referenced at the end of the third paragraph. The statement seems to say you get the sum of the own retirement benefit and spousal benefit, but the website seems to say you get the higher of own retirement benefit vs. spousal benefit. I struggled to understand parts of this blog post. For example, the second paragraph says “If a spouse accepts reduced retirement benefits before starting spouse’s benefits (his or her spouse is younger), the spouse will not receive 50 percent of the worker’s benefit amount”. It uses the word spouse 4 times, and it’s not clear to me which spouse it is sometimes referring to. Hi Bill, thank you for reading our blog post. We will always pay a person’s own retirement benefit first. If their benefits as a spouse are higher than their own retirement benefits, they will get a combination of benefits equaling the higher spouse benefit. However, keep in mind that a spouse’s benefit cannot exceed one-half of the worker’s full retirement amount (not their reduced benefit amount). So, a person is only going to receive additional spouse’s benefits if their own full retirement benefit (not their reduced benefit) is less than half of their spouse’s full retirement benefit. For example, if a worker’s full retirement benefit amount is $1,100, the spousal benefit is 50 percent of that, or $550. However, if that spouse is eligible for a full retirement benefit on their own record of $400, then their actual spouse’s benefit would be an additional $150 which equals that 50 percent. If the spouse waited until their full retirement age to file, they would receive one payment of $550, even though $400 was from their own retirement record and $150 was from their spouse’s record. Benefits are reduced if the individual files prior to their full retirement age. How long do couples have to be married for a wife to collect husbands benefits upon his death? Thank you. Hi Michael, thank you for the question. Generally, a surviving spouse or widow meet the marriage requirement if the marriage took place no later than 9 months immediately preceding the day on which the worker died. To learn more, visit our Survivors Planner: Survivors Benefits For Your Widow Or Widower. I was married almost 20 yrs when divorced. Neither of us have remarried. I understand I may collect off of his. BUT If mine is more than half of what his SS check is, I would or could not. Did I understand that correctly? If you file for his, you also file for yours, and you only get whichever one is HIGHER. Hi Dazi, thank you for reading our blog post. You are correct. You would only file for divorced spouse’s benefits if your own full retirement benefit amount was less than half of your ex-spouse’s full retirement benefit amount. If your former spouse passes away, you could be eligible for survivors benefits. Check out “If You’re The Worker’s Surviving Divorced Spouse” for details. I worked for LACCD and was told I could also contribute to SS to have this retirement. I contributed for 11 years to SS and to CalPERS. Then I got a job with CalSTRS and have worked for 22 years. I now find out that I have lost my social security. I worked and contributed for 11 years!! Why? I cannot even get derivative benefits thru my ex, who makes well over 150,000 per year. I have twice met with SS agents in Roseville, CA…only to get incorrect information. My estimated combined PERS/STRS is about $3000. My own SS estimate now is about $1000. I have lost this money??? Why? Thanks. Please let all teachers know that if they decide to teach before they have certain number of years contributing to SS they lose that in addition to losing derivative rights if they join CalSTRS!! Hi Gilda. Some federal employees and employees of state or local government agencies may be eligible for pensions that are based on earnings not covered by Social Security. If they didn’t pay Social Security taxes on their government earnings and they are eligible for Social Security benefits, the formula used to figure their benefit amount may be modified, giving them a lower Social Security benefit. For additional details, check out our Information for Government Employees web page. I believe there is an error due to miscalculations by a SS worker, in my SS, how can I appeal this for review and corrections? You only have about 60 or 90 days to appeal. Thank you for contacting us, David. To inquire about your benefit calculation, you will have to contact your local office or call our toll-free number at 1-800-772-1213. Representatives are available Monday through Friday, between 7 a.m. and 7 p.m.
Isn’t it nice that everyone is confused after reading this article, and they all have questions, but all of those questions are unanswered! Is that because of the government shutdown, or because you don’t answer questions left as comments on your blog? If you wait and take SS at age 70 then pass will your spouse be able to claim the amount you received at age 70 when you pass? What amount will the survivor receive . if your spouse is at full ss age they will get what you were getting. Excellent article, I fully understood every detail. My wife has advanced Alzheimer’s. I’m guessing she will pass before me. Her monthly SS income is higher than mine. Can I receive her amount rather than mine on her passing? Hi Terril, thank you for your question. Your survivor amount would be based on your wife’s earnings. The more she paid into Social Security, the higher her benefit will be. If your wife already filed for benefits prior to passing away, survivors benefits are based on that amount. The percentage of that amount that you would receive depends on how old you are when you file as a widower. We are only going to pay the highest benefit amount from either record, meaning you don’t get both retirement and widowers benefits but the higher of the two. Use our Survivors Planner to look at how families are protected if the worker dies. Yes, I have different question, mine is about if you are already on dissability!!! My situation is different my husband and I had been married 20 years or more I started drawing my DISSABILITY when I was 42, I worked all my life till that point and I maDE good wages so , I had married but I was a VICTIM of a crime when I was younger. A very serious crime I was kidnapped torturd all night almost killed the man that done this got 2 99 year sentences, very serious crime. My husband had several different things wrong he drew his dissability for 8 years before passing, I’m guessing but he had a massive stroke which left him completely paralyzed on 1 side had had a prior hip surgery then after his stroke HD became septic in that hip, and it had to be taken out, he was completely bed bound!! But when he died he had turned 62 he had a birthday in April and he died on aug.6 2017, I was I was 55 when he died, he drawer 1,372.00 monthly and I drew 1,037.00 monthly So I go report the death they said I would draw my check but a small portion of his, which ended up being 240.00 monthly!! So WHAT I’M ASKING IS THAT REALLY THE RIGHT AMOUNT??? BECAUSE OUR BILLS WERE BASED ON THIS AMOUNT IT DID NOT SEEM RIGHT!! Hi Elizabeth, thank you for using our blog to ask your question. The monthly amount you would get as a widow is a percentage of the deceased’s basic Social Security benefit. It depends on your age and the type of benefit you are eligible to receive. If you file for disabled widow’s benefits between the ages of 50 through 59, you are eligible for 71.5 percent of the deceased spouse’s benefit. Use our Survivors Planner to look at the various survivor benefit amounts. If I take my benifit at FRA and pass away and my .wife took her benifit early Would her widow benifit be 100% of mine if she was at FRA when I passed. Hello Frank. You got it!. Remember that your survivor benefit amount is based on your earnings over your working life. The more you paid into Social Security, the higher your widow’s benefit will be. If you start receiving reduced benefits and then passed away, your wife’s survivors benefit will be based on that amount. If your wife started receiving retirement benefits based on her own record, at the point of your demise, her retirement benefit amount will be considered to see if it is less than the amount she could receive as your survivor. Using the example you gave, she would be entitled to your 100% FRA amount. Hi, Tonya. Thanks for your comment. To be eligible for divorced spouse benefits, you had to be married to your former spouse for at least 10 years, be age 62 or older, and you cannot be eligible for a higher benefit on your own record. For more information, visit our Benefits Planner: If You Are Divorced. We hope this helps. I am on disability due to injuries received in a car wreck in 2010. Will my disability amount increase or decrease now that I’ve turned 62? Hello Deborah. Once a person reaches their full retirement age, we automatically convert their disability benefits to retirement benefits, but the amount remains the same. The individual will receive a written notice of the change. If you have specific questions regarding your benefits, you can also call our toll free number at 1-800-772-1213 (TTY 1-800-325-0778). Representatives are available Monday through Friday between 7:00 a.m. and 7:00 p.m. Generally, you’ll have a shorter wait time if you call later in the day. We hope this helps! Hi, Cristen. First, realize you may not need a replacement card. You will rarely need to show it. Knowing your Social Security number is what is important. To see if you’re eligible to apply for a replacement Social Security card online or to learn more on the process and what documents you will need to get a card, please visit our Social Security Number and Card web page. Thanks. Why don’t you take this post down? This info should not be public. And off topic! Thank you for the confusing article. As a Social Security workshop leader I am always looking for government examples as to why you need my workshop. The article will no doubt provide a surge in enrollment. I married on June 10 2017. I started collecting disability from SS in 2012 because of stage 4 cancer of my vocal cord, COPD, Heart attack and 5 strokes. I was declared 100% disabled. I now collect $1035 per month and my disability has moved into retirement because I turned 67 last August 13th 2017. My wife just file for early retirement and she receives a little over $1800/month. We wanted to buy a home so we could retire. We did and our mortgage is almost $1700/month. Before she applied, she was working and earning approximately $72,000/year. She owned her 2014 Ford Edge and I had a total loss 2003 Ford Minivan and I needed a vehicle. So I purchased a 2018 Ford Explorer Base package, my notes are $640/month. Our car insurance is a little over $220/month, and our household bills are well over $1000. Then she lost her great paying job and was denied Unemployment. For 4 months we sold our home and downsized from a home she owned prior and paid all of our credit cards off that we existed on for the 4 months she was out of work in access of $25,000. We are now back up to $13,000 in credit card debt because she got a new job and is earning 1/2 of what she was making at her previous job. She has supporting her grandson who is now 10 yrs old. since he was just 2 years old because her mother was in prison for stealing over $30,000 from her and also drug possession charges. She has had full custody of our grandson since he was 2. We just charged our credit cards to adopt him and we are still providing him every thing in life all sports, school, food, clothing and insurance. She just started collecting her retirement a couple of months ago and we are in financial ruins and are drowning in dept. She gets $250/month for his care through Social Security. Our adoption is in it’s ladder stages and waiting for the Representative to come visit our home. Then we sign the papers. Hi Johnny. Under current law, Social Security can only pay benefits to grandchildren if certain conditions are met. In addition to providing for more than 50% of their support as you are doing now, the biological parents of the children must be deceased or disabled, or you must have legally adopted them. See “Benefits For Grandchildren” for more information. What if my spouse died before he received social security even if he was of age to retire? He was getting disability for diabetes and leg amputation due to being diabetic. Hi Ruth. We are very sorry for your loss. If your deceased spouse was receiving Social Security disability benefits when he passed away, we will base your survivor benefit on that amount. Widows benefit are payable as early as age 60 (for a reduced benefit) or a full widows benefit at full retirement age or older. Use our Survivors Planner for additional details. Hello Richard, thank you for your question. Your wife’s survivor amount is based on your earnings. The more you paid into Social Security, the higher her benefit will be. If you are already receiving reduced benefits when you die, survivors benefits are based on that amount. If your wife is receiving retirement benefits on her own record at the time of your demise, she can only apply for benefits as a widow if her retirement benefit amount is less than the benefits she would receive as a survivor. As for your Veteran Administration benefits, Generally, there is no reduction of Social Security benefits due to military retirement benefits. Please visit our Benefit Planner: Military Retirement And Social Security Benefits for more information. However, Social Security survivor benefits may affect benefits payable under the optional Department of Defense Survivors Benefit Plan. Your spouse may want to check with the Department of Defense or military advisor for more information. My Wife receives more SS than I , IF she dies before me , would my SS be raised to her Benefit ? Hi Raymond, thank you for your question. Your survivor benefit amount is based on your wife’s earnings. The more she paid into Social Security, the higher your benefit will be. If she is already receiving reduced benefits and then dies, your survivors benefits will be based on that amount. Generally, widow or widowers benefit is payable as early as age 60 (for a reduced benefit) or a full widows benefit at full retirement age or older. Use our Survivors Planner Planning For Your Survivors. Hope this helps. Raymond, the short answer is YES. Prior to retiring a social security supervisor held a seminar and stated that I could/would receive benefit monies from my ex-husbands account, even though we had divorced and remarried. I worked many years including 20 years with the Veterans Administration with CSRS. My assigned Social Security agent refused to allow the husband’s benefit. I think I deserve the extra income but have hit a brick wall. Do I have to hire an attorney? Hi Patricia: If you receive a pension from a government job in which you did not pay Social Security taxes, some or all of your Social Security spouse’s, widow’s, or widower’s benefit may be offset due to receipt of that pension. This offset is referred to as the Government Pension Offset, or GPO. For additional details, check out our Government Pension Offset factsheet. All we are trying to find out is where is the benefit from my stepfather going now that my mother is deceased? His pension needs routing info in order to stop it. Thank you for contacting us, Sonya. Unfortunately, and because of security reasons, we do not have access to personal records in this blog and cannot assist you. To inquire about a benefit, your stepfather will have to contact his local office or call our toll-free number at 1-800-772-1213. Representatives are available Monday through Friday, between 7 a.m. and 7 p.m. In the instance of a divorced spouse, married 30+ years, does she have to wait until spouse dies to collect on his account? She collects on her own acct. For more information, please visit our Retirement Planner: If You Are Divorced. Hope this helps! Hi Judy, thank you for your question. Social Security has divorced spouse’s benefits as well as surviving divorced spouse’s benefits. You would only file for divorced spouse’s benefits if your own full retirement benefit amount was less than half of your ex-spouse’s full retirement benefit amount. However, if your former spouse passes away, you could be eligible for a higher survivors benefit amount. mi conyuge tiene 61 años a que edad ella puede jubilar ? Ahora yo recibo 1000 dolares ,cuanto ella recibira cuando se jubile? This is word salad, it makes no sense. It doesn’t parse. PLEASE try again, give a list of terms and define them. It’s a shame we taxpayers are paying for this mumbo-jumbo. Hi Donald, thank you for your question. After you sign in to your my Social Security account, you can update your email address. After inputting your username and password, you will be at the security code screen. If you receive your security code via email only, then indicate that you cannot access the options listed above and need to reset where you receive security codes. We will then send you a letter with a reset code and instructions. I’m divorced and would like to know about benefits if any I have from my ex husband. He is 3 yrs younger than me. He was self employed, so how will this affect me if and when he gets his benefits? Thank you for your question, Gloria. Please check out our Social Security divorced spouse’s benefits web page for all the details. If you are divorced and currently unmarried, you may be able to receive benefits on your ex-spouse’s record if your marriage lasted 10 years or longer. We will always pay your own retirement benefit first. If your benefits as a divorced spouse are higher than your own retirement benefits, you will get a combination of benefits equaling the higher divorced spouse benefit. However, the divorced spouse’s benefit cannot exceed one-half of your ex-spouse’s full retirement amount (not his reduced benefit amount). So, you can only receive additional divorced spouse’s benefits if your own full retirement benefit (not your reduced benefit) is less than half of your ex-husband’s full retirement benefit. My husband is on Social Security, I’m disabled, so what are the rules for a disabled spouse that never got the chance to work? Hi Lori. For you to qualify for spouse’s benefits on your husband’s record, you must be 62 years old. Visit our Retirement Planner: Benefits For Your Spouse for more information. I need to know about benefits I may be entitled to after divorce. We were married 36 years and I believe his social security is higher than mine. Hi Gail, thank you for your question. To inquire about the potential benefit as a divorced spouse, please call our toll-free number at 1-800-772-1213 (TTY 1-800-325-0778), Monday through Friday between 7 a.m. and 7 p.m. to speak to one of our representatives. If my spouse took benefits at age 62 and her amount was reduced by 25%, four yrs later when I begin my benefits, will her spousal supplement (about $300) also have the same 25% penalty applied to it? FRA for both is 66. Mine is $2400 and hers alone is $900. Why is COMMENT not a required field? I have a question. My child is getting Social Security because she had to apply for child’t insurace benefits-Life Claim as she was born is C.P. The question is why does she get part of my Social Security benefits. They took 1/2 of my money to pay for her money. She had been on SSI till my husband retired. I work for the railroad and was getting close to $700 a month then when my husband started to receive his social security money I started to get 1,200 till they put our daughter on it and they she got half..I lost half. I don’t understand…. Hi Barbara. When a parent gets Social Security retirement or disability benefits, his or her disabled adult child also may get benefits. Disabled adult children also can get benefits when a parent dies. The disabled adult child is eligible for 50% of the parent’s full benefit if the parent is retired or disabled, and 75% if the parent is deceased. However, if there are additional beneficiaries on the record such as a spouse, the Social Security benefits may be subject to a “family maximum”. Unfortunately, but for security reasons, we do not have access to personal records in this venue to determine if that is the case in your situation. We encourage you to contact your local office or call our toll-free number at 1-800-772-1213. Representatives are available Monday through Friday, between 7:00 a.m. and 7:00 p.m.
Good evening. I watch the video this morning about 2:00 o’clock in the morning about VA, I was about to ask about my stolen US Soc. Sec. Card because that is my Permanent Card Number when I work in USA 1981 and I did not change my name and I have my own email address. I have two sisters from the 2nd husband of my mother, their name was Elena Dulay born Feb.15/1948 and Teacher where she sponsored us to come to NZ and my ex husband passaway I have here his Death Cert. and I have two adult son now. They are both singles and studying. My “Medicare A’ was already expired since I turn 65 yrs old last 2015 and I did not received retirement check. I also have another youngest sister Adelaida Seekopp Whermke but she is already widow and German citizen w/her one daughter and a grandkids. we never seen her for ages. I hope, for such a long time losses might be recover as I will watch again the next video, and I said to the lady I will call back, I spoke to her thru tel. con. this day when I watch the video of Mr.Robert Wilkie. OK thank you and have a wonderful day. It will be very helpful if Social Security Administration includes some examples with dollars. This is Aung Shwe.I get testicular cancer.I two years medical treatment after i stay out of united state myanmar. I can not walk.always is lying bed.i have alone.nobody help. I marriage .not legally. No wedding.They stop my benefit.i going to medical treadment.please help for right answer. Hi, Aung. We are sorry to hear about your condition and situation. Unfortunately, your question is a bit more complex than we can address in this forum. For your security, we do not have access to private information in this venue. For assistance outside of the U.S., contact your Federal Benefits Unit. We hope this is resolved soon. It would be nice if this presentation used the “Keep It Simple” (KISS) approach. A simple summary at the beginning with complex explanations later. And have a non-lawyer do it. I’m a CPA with over 50 years experience. I found this presentation very confusing. Social Security is significant part of my discussions with tax clients. I’ll redo it for you if you would like. Is there a service available whereby I ask a question about spousal benefits that have been previously applied for and are currently being paid ? Hi Dennis, thank you for your question. To inquire about benefit payments, you will need to contact your local office or call our toll-free number at 1-800-772-1213. Representatives are available Monday through Friday, between 7 a.m. and 7 p.m. I work full-time but my partner is on SSDI. Neither of us have reached retirement age as we are each only 58 years old. How will us getting married affect his SSDI benefits? Hi Lillian, thanks for using our blog to ask you question. See “If I get married, will it affect my benefits” for more information. Thanks! He has cancer and I am trying to figure out my living arrangements upon his death. We have no savings. Can you give me an idea for planning on how much of a survivor amount I will be eligible for? Hi Dianna, thank you for your question. Your survivors benefit will be based on the amount your husband was receiving. The percentage of that amount that you would receive depends on how old you are when you file as a widow. We are only going to pay the highest benefit amount from either record, meaning you don’t get both retirement and widow(er)s benefits but the higher of the two. Use our Survivors Planner to more details. Husband on disability. with SS. Wife on government pension at age 60. Husband passes away & wife learns she is entitled to SS widows allowance from SS. How is this calculated ? Government offset is not clear on the percentage and on what figure is used for it. Your input to on this will be greatly appreciated. Hi Mildred: If you receive a pension from a government job in which you did not pay Social Security taxes, some or all of your Social Security spouse’s, widow’s, or widower’s benefit may be offset due to receipt of that pension. This offset is referred to as the Government Pension Offset, or GPO. For additional details, check out our Government Pension Offset factsheet and the GPO Calculator. I turned 62 before Jan 2, 2016 and took my retirement early at age 62. My husband began taking his retirement benefits at 66 also turning 66 before Jan 2, 2016. I was told at the time that I could apply for his benefits at the time, but my benefits would be at a reduced rate for the rest of my life, so I said no. I decided to take mine at a reduced rate since I could apply for 50% of his when I turned 66. Now since I am turning 66 and the law now reads that when you apply for you are deemed to apply for both your spouses and your own. Am I going to have a problem refiling to receive 50% of my spouses retirement. My understanding at the time was that I would always continue to get mine, but I would at age 66 receive another check to make my amount be 50% of my husbands. Thanking you ahead for your response, since I have not been able to find this situation and question answered. Hi Linda, thank you for your question. Unfortunately, because you applied for your own retirement benefit early, you are not eligible for half of your spouse’s benefit at your full retirement age. For example, if a worker’s full retirement benefit amount is $1,100, the spousal benefit is 50 percent of that, or $550. However, if that spouse is eligible for a full retirement benefit on their own record of $400, then their actual spouse’s benefit would be an additional $150 which equals that 50 percent. If that spouse filed early for retirement, that $400 would be reduced. If they later file for the spousal benefit at their full retirement age, they would receive the full $150 but their total benefit would not be half because of that early retirement benefit. Quisiera informarme que pasa cuando un jubilado de social security fallece y su cónyuge vive en otro país que se debe hacer para la presentación de documentos y reclamación de los beneficios a que tiene derecho el mismo y que documentos son requeridos por la entidad y a que dirección o correo electrónico se deben enviar. Hi there. For information in Spanish, please visit us at http://www.segurosocial.gov or http://www.facebook.com/segurosocial. My husband of 62 years passed away on 01/11/19. Am I entitled to any widow benefits? Hi Gloria. We are very sorry for your loss. If you already receive benefits as a spouse, under your husband’s record, your benefit will automatically convert to widow’s benefits after we receive the report of death. Typically, the funeral director notifies us of an individual’s passing by contacting the local Social Security office. Can i collect benefits on my mother’s and my father’s. Record since i was born disabled ? Hi, Donna. A child’s benefits normally stop at age 18 unless he or she is a full-time student in an elementary or high school (benefits can continue until age 19) or is disabled. For a child with a disability to receive benefits on parent’s record after age 18, the disabling impairment must have started before age 22. See our Disability Planner: Benefits For A Disabled Child web page for more information. We hope this helps. Is there such. A law called zebley law? JUst not clear enough to understand. I have been informed that my spouse will receive an amount that is 50% (half) of what I will receive. This article confuses me so now I don’t know what will happen when I request retirement for me and my wife next year (both will be 66yr old, full retirement age). Hello Carl. Your are correct! Your spouse’s benefit can be equal to one-half of your full retirement amount if you started receiving the benefits at your full retirement age. If a person begins to receive benefits at age 62 or prior to their full retirement age, their benefits are reduced. The reduction factors are permanently applied to all of the benefits the person may qualify for. Also, if someone is eligible for both, his or her own benefit (from working) and for benefits as a spouse, we will always pay their own benefit first. If their spousal benefits are higher than their own retirement benefits, he or she will get a combination of benefits equaling the higher spouse benefit. Please visit our Retirement Planner: Benefits For Your Spouse for more information. To see if you qualify for a higher benefit than what you are currently receiving, call our toll free telephone number at 1-800-772-1213, Monday through Friday between 7 a.m. and 7 p.m. and ask a representative to assist you. Or contact your local Social Security office directly. Thanks! My husband who turned 65 May 2018 lives in another State we are not divorced and he is receiving Social Security. How do I apply for his benefits I am 63. Is it based on my age as well? I don’t know where to begin. Thanks for the question, Bonita. Your benefit as a spouse can be equal to one-half of your husband’s full retirement amount only if you start receiving those benefits at your full retirement age. If you begin to receive benefits at age 62 or prior to your full retirement age, your benefits are reduced. The reduction factors are permanently applied to all of the benefits you qualify for once you opt to start benefits at age 62 or at any time prior to your full retirement age. See our Retirement Planner for more information. Also, to compute the effect on your benefit amount if you file for early retirement as well as to compute the effect on your spouse’s benefits if you file for early retirement, check out our Early or Late Retirement Calculator and our Benefits for Spouses Calculator. I was married to my first spouse for nearley 30 years. He asked for a divorce. He remarried right after the divorce. I understand Im entitled to some of his retirement at age 62? Also I wanted to know if got remarried before 62 would I still be entitled to his benefits, if so what are the benefits I would be entitled to? And when do I apply for these benefits? Hello Marjorie. We will always pay your own retirement benefit first. If your benefits as a divorced spouse are higher than your own retirement benefits, you will get a combination of benefits equaling the higher divorced spouse benefit. However, the divorced spouse’s benefit cannot exceed one-half of your ex-husband’s full retirement amount (not his reduced benefit amount). So, you can only receive additional divorced spouse’s benefits if your own full retirement benefit (not your reduced benefit) is less than half of your ex-husband’s full retirement benefit. See “If I get married, will it affect my benefits” for additional details on getting married. Recently my Wife Anne M. Mc Laughlin ( *** – ** – *** ) passed away on 12/31/2018. I know I have an up coming meeting in March of 2019 at a SOCIAL SECURITY OFFICE IN MIAMI BEACH , FL to file for spousal / survivor benefits., BUT I HAVE lost the letter with the location & day, date , & time of the meeting. We are very sorry for your loss, John. Unfortunately, and because of security reasons, we do not have access to the appointment calendar in this blog and cannot assist you. To inquire about your appointment, you can call our toll-free number at 1-800-772-1213. Representatives are available Monday through Friday, between 7 a.m. and 7 p.m.
My ex wife has died and I have remarried. My age is 83 years old. Am I eligible for part of my ex’s social security. This article is at best confusing and does not provide a clear picture of “Understanding Spouse’s benefits”. I/we came away from this article with more questions and confusion than answers. now Searching for a more comprehensive and straight-forward article or chart that allows us to clearly navigate the SS path. When will the GOV learn to provide information in clear, concise and easily consumable language. Knowing is one thing, teaching and communicating what you know is an entirely different art form. I am 63,ive been getting benifits since 1980.IM disabled.my wife gets socail security and shes 4 months younger than me.but i get a lot more than my wife,but when i die im woried,her little check wont take care of her.will she or can she drop her socail security and draw mine.? Hi Rodney, thank you for your question. Your wife’s survivor amount would be based on your earnings. The more you paid into Social Security, the higher her benefit will be. If you are already receiving benefits when you die, survivors benefits are based on that amount. The percentage of that amount that your wife would receive depends on how old she is when she files as a widow. We are only going to pay the highest benefit amount from either record, meaning she won’t get both retirement and widows benefits but the higher of the two. Widows benefit are payable as early as age 60 (for a reduced benefit) or a full widowers benefit at full retirement age or older. What if the husband is unemployed, will he can still avail the 50% benefit from my retirement? Hi, Evelyn. If he is not working or working under the annual earnings limit, he may be eligible. Keep in mind, his benefit as a spouse can be equal to one-half of your full retirement amount only if he starts receiving those benefits at his full retirement age. If a person begins to receive benefits at age 62 or prior to their full retirement age, their benefits are reduced. The reduction factors are permanently applied to all of the benefits the person may qualify for once they opt to start benefits at age 62 or at any time prior to their full retirement age. He may still be eligible to collect reduced benefits on your record. Remember, if he qualifies for his own retirement benefits and for benefits as a spouse, we always pay his own benefits first. If his benefits as a spouse are higher than his own retirement benefits, he will get a combination of benefits equaling the higher spouse benefit. See our Retirement Planner: Benefits For Your Spouse for more information. For specific questions about his case, he can contact his local office or he may call our toll-free telephone number at 1-800-772-1213, Monday through Friday between 7:00 a.m. and 7:00 p.m. and ask a representative to assist him. We hope this helps. My wife age74 died in March 2018…she was receiving 50% of mind…am entitled to her social security in anyway?? Hi, Charles. We are sorry for your loss. The amount of your widower’s benefit is based on several factors, including: the earnings of your wife, when she started receiving her benefits, your age, and the amount of your own retirement benefit. We compare your own benefit with your potential survivor benefit. If your survivor benefit would be higher than your own current retirement benefit, you would be eligible for survivor benefits. You can also learn more information on our Survivors Benefits web page. You can also visit our page, Benefits Planner: If You Are The Survivor, at http://ow.ly/NKlt30dKCjT for more information. For specific questions about your case, your can contact us at 1-800-772-1213 (TTY 1-800-325-0778) between 7 a.m. and 7 p.m., Monday through Friday. We hope this helps! I don’t know who wrote this but it is simply unintelligible. It comes across as if someone had arbitrarily cut and pasted pieces and parts of administrative instruction and the dumped them on the page and hoped for the best. Hi, Ghislane. If you remarry before you reach age 60 (age 50 if disabled), you cannot receive benefits as a surviving spouse while you are married. If you remarry after you reach age 60 (age 50 if disabled), you will continue to qualify for benefits on your deceased spouse’s Social Security record. If your new spouse is a Social Security beneficiary, you may want to apply for spouse’s benefits on that record. If that amount is higher, you may be entitled to the higher amount, based on both records. For more information on remarrying and its effect on your survivor benefits, please visit our Survivors Benefit Planner. We hope this helps. I would like to thank the SSA and all the replies . Reading was educational and enlightening. On final note if anyone doesn’t understand the info contact a SSA rep.
My spouse (wife) passed away July 30, 2018. Am I (husband) entitiiled to any/partial benefits from her social security account. Hi, John. We are sorry about your loss. You could be eligible for benefits based on your wife’s earnings. You can receive full benefits at full retirement age for survivors or reduced benefits as early as age 60. If you are disabled, you could begin receiving benefits as early as age 50 if the disability started before or within 7 years of your wife’s death. For additional information, visit our Benefits Planner: If You Are The Survivor web page. We hope this helps. what if you divorced many years ago but have been together for 20 years since…..
Hi, Lynn. Thanks for your question. To be eligible for divorced spouse benefits, you had to be married to your former spouse for at least 10 years, and you cannot be eligible for a higher benefit on your own record. For more information on how to qualify for divorced spouse benefits, visit our Benefits Planner: If You Are Divorced. Hope this helps! until she reaches the age of 18 will the spouse start receiving the SS Pension after? still dont understand, they need to make rule easier to understand, i started receiving benefits at age 62 and am 3 yrs older than my wife, she started receiving benefits at 62, my benefit is 500.00 more a month so if i die before her will she receive the higher amount. Hi Andrew, thank you for your question. Your wife’s survivor amount would be based on your earnings. The more you paid into Social Security, the higher her benefit will be. If you are already receiving benefits when you die, survivors benefits are based on that amount. The percentage of that amount that your wife would receive depends on how old she is when she files as a widow. We are only going to pay the highest benefit amount from either record, meaning she won’t get both retirement and widows benefits but the higher of the two. I will be 67 in March. My spouse will be 67 in February. Some people our age say that together they get one spouse’s social security payment and half of the other spouse’s payment. How does that work? My spouse and I are both still working. Hi Susan, thank you for using our blog to ask your question. For individuals that turn 62 before January 2, 2016, deemed filing rules do not apply if you wait to file at your full retirement age or later. This means that you may file for either your spouse’s benefit or your retirement benefit without being required or “deemed” to file for the other. See our Deemed Filing For Retirement And Spouse’s Benefits FAQs web page for details. Does everyone know that the SS office posts your ENTIRE SS # on U.S. Postal mail ? An item from them was delivered in my mailbox last week and ripped open to expose the ENTIRE SS #. I cannot even believe with all of the fraud that SS of all places, would even still do this ! Now I have had to place a fraud alert on everything. This needs to stop ! my spouse has a higher monthly benefit and I would like to receive the 50% of his which would be higher than my total monthly amount. How do I do this? There is always a long wait on the phone line for information at social security. Hi, Linda. If you are eligible for retirement benefits on your own record, we pay that amount first. If the benefit on your spouse’s record is higher, you will get an additional amount on that record so that the combination of benefits equals that higher amount. If the benefit on your spouse’s record is higher, you will get an additional amount on that record so that the combination of benefits equals that higher amount. Find more information at our “Retirement Planner: Benefits for Your Spouse.” For more specific information, contact us at 1-800-772-1213, Monday through Friday between 7 a.m. and 7 p.m. and ask a representative to assist you. Generally, you’ll have a shorter wait time if you call later in the week. You can also contact your local office. You can also click “Get Help” in your personal my Social Security account to “Ask a Question”. Click “Talk to an Expert” for a call back. We hope this helps. If my spouse started receiving SS Retirement Benefits at age 62, does that mean when I (His spouse) turn 62, I, who don’t qualify for my own benefits due to being a stay at home mom, will not be eligible for any spousal benefits even after I turn 62? Hi Cheryl, thank you for using our blog to ask your question. For you to qualify for spouse’s benefits on your husband’s record, you must be 62 years old or older and your husband must also file. If you qualify for your own retirement benefits and for benefits as a spouse, we always pay your own benefits first. If benefits as a spouse are higher than her your own retirement benefits, you will get a combination of benefits equaling the higher spouse benefit. Visit our Retirement Planner: Spouse’s Benefits for more information. I’m following up on my disability appeal, pls advise status, it’s been almost 10 months since it was submitted. Hi, Mary. For your security, we do not have access to private information in this venue. We ask that members in our Blog community to continue working with our offices with specific questions about their case. You call us toll-free at 1-800-772-1213. Representatives are available Monday through Friday, between 7:00 a.m. and 7:00 p.m. or contact your local Social Security office. Thanks. We are sorry for your loss, Connie. For your security, we do not have access to private information in this venue. We ask that members in our Blog community continue to work with our offices with specific questions about their case. You can call us at 1-800-772-1213 (TTY 1-800-325-0778) between 7 a.m. and 7 p.m., Monday through Friday. Or you can contact your local office. We hope this is resolved soon. This is a question not a comment. My ex-husband was killed in a car accident November 3, 2018. Our daughter just turned 18 she has cerebral palsy. Would I be able to get ex-spouse benefits? We were married for 6 years. Although after we divorced we remained together up until his passing. Also would our daughter be able to get his benefits? We are very sorry for your loss, Nancy. Your daughter may be eligible for survivor benefits if her father earned enough Social Security credits through his work. A child with a disability age 18 or older may get Social Security benefits when a parent gets retirement or disability benefits or passes away. The child’s disability must have begun before age 22. In addition, you may be eligible for benefits as well. If you are caring for a child under age 16 or disabled and the child gets benefits on the record of your former spouse, you would not have to meet the ten year duration of marriage rule. The child must be your former spouse’s natural or legally adopted child. Check out our Survivors Planner for more details on surviving divorced spouse’s benefits. Exactly how does the reduction rate for spousal benefits work? My spouse started retirement benefits at 62. I will reach FRA in 2 yrs and 2 mos. How can I calculate what my spouse’s spousal benefit would be if I start receiving retirement benefits at FRA? Hi Phoebus, thank you for reading our blog post. We will always pay a person’s own retirement benefit first. If their benefits as a spouse are higher than their own retirement benefits, they will get a combination of benefits equaling the higher spouse benefit. However, keep in mind that a spouse’s benefit cannot exceed one-half of the worker’s full retirement amount (not their reduced benefit amount). So, a person is only going to receive additional spouse’s benefits if their own full retirement benefit (not their reduced benefit) is less than half of their spouse’s full retirement benefit. My spouse died on July 31, 2018. Michael E. Janicki. My name is Audrey A. Janicki, To date I have not received notification of Widow’s benefits for me. Have not received burial allowance, nor adjusted monthly payment, Have made numerous calls as well as filled out form sent after his death. Thank you for contacting us, Audrey. We are very sorry for your loss. Unfortunately, and because of security reasons, we do not have access to personal records in this blog and cannot assist you. To inquire on the status of your benefits, you will have to contact your local office or call our toll-free number at 1-800-772-1213. Representatives are available Monday through Friday, between 7 a.m. and 7 p.m.
Can I collect additional benefits from my ex-spouse ? Hi, Shirley. To be eligible for divorced spouse benefits, you had to be married to your former spouse for at least 10 years, you must be age 62 or over, and you cannot be eligible for a higher benefit on your own record. For more information on how to qualify for divorced spouse benefits, check out our Benefits Planner: If You Are Divorced. Hope this helps! I am still working and I will be taking SS at full retirement age (66 and 2 months) in 2 years. My wife has been taking SS since age 62. She is 5 months older than me. What are my options when choosing spousal benefits? Thanks for your question, Mike. If you are eligible for retirement benefits on your own record, we pay that amount first. If the benefit on your spouse’s record is higher, you will get an additional amount on that record so that the combination of benefits equals that higher amount. Find more information at our Benefits Planner: Benefits for Your Spouse. For additional assistance, contact us at 1-800-772-1213, Monday through Friday between 7 a.m. and 7 p.m. and ask a representative to assist you. Generally, you’ll have a shorter wait time if you call later in the week. You can also contact your local office. We hope this helps. Hi, Bruce. For your security, we do not have access to private information in this venue. In order to have taxes withheld from your Social Security benefit, you must start by printing, completing and submitting an IRS Voluntary Withholding Request Form (Form W-4V). On this form, you can choose to have 7, 10, 12, or 22 percent of your monthly benefit withheld. To find this form, and for more information on completing this process, visit our Benefits Planner-Withholding Income Tax From Your Social Security Benefits. Just a reminder – please be cautious about posting personal information on social media. We hope this helps. I am still confused. I began receiving benefits at 62. My husband did not receive benefits until later. So there was no known amount at the time I began to ask for spousal benefits as my spouse was not yet receiving benefits. I am now 69 and he is 72. Can I apply for spousal benefits or am I excluded from spousal benefits because I filed early. Hi, Geraldine. If a person begins to receive benefits at age 62 or prior to their full retirement age, their benefits are reduced. The reduction factors are permanently applied to all of the benefits the person may qualify for once they opt to start benefits at age 62 or at any time prior to their full retirement age. You may still be eligible to collect reduced benefits on your spouse’s record. Remember, if you qualify for your own retirement benefits and for benefits as a spouse, we always pay your own benefits first. If your benefits as a spouse are higher than your own retirement benefits, you will get a combination of benefits equaling the higher spouse benefit. See our Retirement Planner: Benefits For You As A Spouse for more information. To see if you qualify for a higher benefit than what you are currently receiving, contact your local office or you may call our toll-free telephone number at 1-800-772-1213, Monday through Friday between 7:00 a.m. and 7:00 p.m. and ask a representative to assist you. We hope this helps. What if the husband dies? in this same scenario? Providing a simple example to accompany your explanation would be very helpful. There is much information and the repeated use of the word, “spouse” is somewhat confusing. I appreciate receiving your notices. a. This year my SS benefit will be 40.57% of my husband’s SS benefit. My benefit is based solely on my husband’s benefit. Question: If my husband passes away (let’s say mid-year) before I pass away, how much will I receive based on my husband’s benefit? Your explanation talks about different situations, but it only confused me. My birthday is 3/8/52 husband age 66. My wife was born 8/25/54 age 64. We are both still working but considering retiring this year. If my wife starts collecting SS at 66 and I hold off until 70 for example can I collect 50% of hers ~9k? If I wait until age 70 to receive SS about what age would I break even? I will receive ~30k now and 36k at 70. I may consider 4/5 years but 8/9 years is a bit long. Please find an English language copy editor for this text. It makes no sense and not at all clear or understandable. My wife took early retirement at 62. I am filing for disability at age 59. Just received a letter stating they are changing her ss payment date from the 4th Wed, of every month to a payment on the 1st of the month. Does this have anything to do with my disability paper work? Hi, Dale. Thanks for your question. For your security, we do not have access to private information in this venue. We ask that members in our Blog community to work with their local office on specific questions about their case. We hope this helps. If my spouse is not a U.S. citizen, but we are legally married in the United States, is she eligible for partial benefits based on my retirement benefit? I am 68 yrs old, still employed and not taking SS benefits at this time. My wife is 65, retired, and started taking SS benefits at 63. When can my wife start taking spousal benefits? DO I have to retire 1st before becoming eligible, or is she only able to claim spousal benefits if I die? Hi, Gene. For your wife to qualify for spouse’s benefits, you must be receiving retirement or disability benefits. Also, if she qualifies for Social Security benefits on her own record, we pay that amount first. But if she will also qualify for a higher amount as a spouse later on, she’ll get a combination of benefits that equals that higher amount. Visit our Retirement Planner: Benefits For Your Spouse for more information. We hope this helps. Hi, Veronica. For your security, we do not have access to private information in this venue. Good news, though! You can click “Get Help” in your personal my Social Security account to “Ask a Question” and click “Talk to an Expert” for a call back. Just a reminder – please be cautious about posting personal information on social media. We hope this helps. Hi, Jane. If you are younger than full retirement age during all of 2019, we must deduct $1 from your benefits for each $2 you earn above $17,640. Check out our publication, How Work Affects Your Benefits. Thanks! Want to know more about collecting Spousal benefits. I am 62 and wondering if I can fill to collect from divorced spouses SS. He is 74 and collecting. Hi, Kim. To be eligible for divorced spouse benefits, you had to be married to your former spouse for at least 10 years and you cannot be eligible for a higher benefit on your own record. Check out our Benefits Planner: If You Are Divorced for more information. Thanks! Hello Flor! For information in Spanish, please visit us at http://www.segurosocial.gov or http://www.facebook.com/segurosocial. Ok my question is: My Husband who is age 59 is recieving social security disabilty. I am turning 62 and applying for my ss benefits. Am i able to apply for anything on his social security that would increase my benefit? Hello Sue. We will always pay your own retirement benefit first. If your benefits as a spouse are higher than your own retirement benefits, you will get a combination of benefits equaling the higher spouse benefit. However, the spouse’s benefit cannot exceed one-half of your husband’s full disability amount. So, you can only receive additional spouse’s benefits if your own full retirement benefit (not your reduced benefit) is less than half of your husband’s full benefit. Generally, during the initial interview when applying for Social Security benefits, we typically explore all other benefits that could yield you a higher benefit amount. Wondering what happens when one of us dies? Can the other spouse, the widow or widower, then have some or all of the benefit received by the now dead spouse? We are currently both in retirement phase and receiving payments each month. Hi Pamela, thank you for your question. For individuals that are already receiving retirement benefits, they can only apply for benefits as a widow or widower if the retirement benefit they are receiving is less than the benefits they would receive as a survivor. I am an American citizen, receiving Social Security benefits and living in Leon, Mexico. My wife for 33 years turned 62 years old last November. I would like to claim spousal benefits for her on line. But, I was unable to complete the form to (register) open an account. A required field on the form required a home address. The form would not accept a Mexican address. Can you help me open an online account. My 66th birthday is on Nov 19th, 2019, and I am still working. I understand I can take my SS during my birth year (ie now) without penalty if I earn less than $46,920. Alternatively, can I take 50% of my ex-husband’s SS now, without penalty if I earn less than $46,920? Hi there. Thank you for your questions. Because you attain your full retirement age (66) in 2019, the limit on your earnings is $46,920 but we only count earnings before the month you reach full retirement age. Beginning with the month you reach full retirement age, your earnings no longer reduce your benefits, no matter how much you earn. The Getting Benefits While Working web page provides more details. In addition, because you were born prior to 1/2/1954, the deemed filing rules will not apply to you IF you wait until your full retirement age or later to file. This means that you may file divorced spouse’s benefits without being required or “deemed” to file for your retirement benefit. See our Deemed Filing For Retirement And Spouse’s Benefits FAQs web page for details. Hi Karen, thank you for reading our blog post. We will always pay a person’s own retirement benefit first. If their benefits as a divorced spouse are higher than their own retirement benefit, they will get a combination of benefits equaling the higher divorced spouse benefit. However, keep in mind that a divorced spouse’s benefit cannot exceed one-half of the worker’s full retirement amount (not their reduced benefit amount). So, a person is only going to receive additional divorced spouse’s benefits if their own full retirement benefit (not their reduced benefit) is less than half of their ex-spouse’s full retirement benefit (not their reduced benefit). To find out if you are eligible for a higher benefit amount, you can call us at 1-800-772-1213 between 7 a.m. and 7 p.m. Monday through Friday or contact your local Social security office. Thanks! I’m 67 years old and I would like to receive my full benefits at age 70. I am married and my husband is retired and is 71 years old. My question is can I retire now and not draw from my benefits until I turn 70 can I draw from my husband’s Social Security at age 67 until I turn 70? Hi Linda, thank you for your question. You may be able to get spouse’s benefits but, under existing law, if you are eligible for benefits both as a retired worker and as a spouse, you must apply for both benefits and you’ll receive the higher of the two benefits. This requirement is called “deemed filing” because when you apply for one benefit you are “deemed” to have also applied for the other. How does, ex-spouse work. I am Divorced. What is she entitled to, when I die, or retire? Thank you. Hi Tom, thank you for your question. See our Retirement Planner: If You’re Divorced for the eligibility requirements and more detailed information. Check out our Survivors Planner: How divorce affects survivors benefits for more information on the survivor benefits. We married Dec 19. 2018 and he packed up and left me Jan 27. 2019. I took early retirement and he just took retirement at age 65. I receive around $2,000/month and receives around $350/month. When I die, will he get part of my retirement? Would he receive ant of my retiremenr if I was able to get an annulment. Thank you? Hi Judith, thank you for the question. According to current policy, a spouse must meet a 1 year duration-of-marriage requirement just before filing for the spousal benefit. Check out our Benefits For Your Spouse web page for more details. Generally, a surviving spouse or widow meets the marriage requirement if the marriage took place no later than 9 months immediately preceding the day on which the worker died. To learn more , visit our Survivors Planner: Survivors Benefits For Your Widow Or Widower. Hi Mari, thank you for the question. Because Supplemental Security Income (SSI) is a needs-based program that gives cash assistance to individuals who are age 65 or older, blind or disabled, with limited income and resources, we must know about all income to determine the proper payment amount. For specific questions regarding income, please call our toll free number at 1-800-772-1213. Representatives are available Monday through Friday, between 7 a.m. and 7 p.m. or contact your local Social Security office . I’m 64 and took my own benefit early @ 62 because my husband decided to leave the marriage after 30 years. He has now been diagnosed with Pulmonary Fibrosis. He took benefits @ full retirement age 70…. (Hes 10 years older than me). What does this mean to me when he passes? Is my deceased spousal amount reduced because I took mine early? Hi Ann, thank you for your question. The amount of your widows benefit is based on several factors, including: the earnings of the person who died, when the deceased worker started receiving their benefits, your age at the time of your spouse’s death, and the amount of your own retirement benefit. We compare your own benefit with your potential survivor benefit. If your survivor benefit would be higher than your own current retirement benefit at the time of your spouse’s passing, you would be eligible for survivor benefits. Anthony, we are very sorry for your loss. If you already receive benefits as a spouse, under your spouse’s record, your benefit will automatically convert to a survivor benefit after we receive the report of death. Typically, the funeral director notifies us of an individual’s passing by contacting the local Social Security office. If you are receiving retirement benefits on your own record, you can only apply for benefits as a survivor if your retirement benefit amount is less than the benefits you would receive as a survivor. Hi, Francis. Keep in mind that if your wife qualifies for her retirement benefits and for benefits as a spouse, we always pay her own benefits first. If her benefits as a spouse are higher than her own retirement benefits, she will get a combination of benefits equaling the higher spouse benefit. Visit our Retirement Planner: Benefits For You As A Spouse for more information. For specific questions about her benefits, your wife can call us toll-free at 1-800-772-1213, Monday through Friday, between 7:00 a.m. and 7:00 p.m. or contact her local Social Security office. Thanks. my husband died 02/06/19 he was receiving SS as well a me. his benefit was higher than mine can I drop mine and take his. Hi, Joan. We are sorry to hear of your loss. You could be eligible for survivor benefits based on your husband’s earnings. To see if you are eligible contact us at 1-800-772-1213 (TTY 1-800-325-0778) between 7 a.m. and 7 p.m., Monday through Friday or visit your local Social Security office. We hope this helps. Does my wife receive my full SS payment if I pass away which is more than her SS payment? Hi Harold, thank you for your question. The amount a widow(er) can receive is based on several factors, including: the earnings of the person who died, when the deceased worker started receiving their benefits, survivors age at the time of spouse’s death, and the amount of their own retirement benefit. If your wife became a widow, we would compare her own benefit with the potential survivor benefit. If the survivor benefit would be higher than her own, she would be eligible for the higher survivor benefit. I retired at age 63 and currently receive $1,950 a month. My wife retired at age 63 and receives around $1,000.00 a month. If I should die first how much would my wife receive in benefits. If my wife died first how much would I receive? Thank you so much for your assistance. Hi Michael, thank you for your question. The amount of a widows benefit is based on several factors, including: the earnings of the person who died, when the deceased worker started receiving their benefits, the survivors age at the time of their spouse’s death, and the amount of one’s own retirement benefit. We will compare your own benefit with your potential survivor benefit. If your survivor benefit would be higher than your own current retirement benefit at the time of your spouse’s passing, you would be eligible for survivor benefits. Hello, my name is Mary Hogan. I’m disable and I am receiving disability compensation from what I have earn for working. My Ex-husband is presently receiving retirement benefit at the age of 65. We were married for 16 years. I am 60 years old and I have never remarried. I would like to know when I can receive benefits from my ex? Hello Mary, thank you for your question. 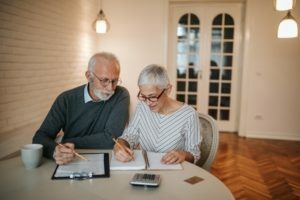 If I apply for spousal benefits at age 63 when my Husband applies for his delayed benefits at age 68, will I qualify for his benefit amount ( The Survivor Benefit) if he dies before I do? Or will it be reduced because I first applied at 63? Hi Joy, thank you for your question. The amount of your widows benefit is based on several factors, including: the earnings of the person who died, when the deceased worker started receiving their benefits, your age at the time of your spouse’s death, and the amount of your own retirement benefit. We compare your own benefit with your potential survivor benefit. If your survivor benefit would be higher than your own current retirement benefit at the time of your spouse’s passing, you would be eligible for survivor benefits. I am a widow and am receiving my late spouse’s social security which was full disability. He was 67 when he died. If I remarried, can I still collect it or do I lose it? Hi Nancy, thank you for your question. Widows that remarry after age 60 (age 50 if disabled), may continue to qualify for benefits on their deceased spouse’s Social Security record. If your new spouse is a Social Security beneficiary, you may want to apply for spouse’s benefits on that record. If that amount is higher, you may be entitled to the higher amount, based on both records. Generally, you must be married for one year before you can get spouse’s benefits. Please visit our Frequently Asked Questions web page to see how marriage can affect Social Security benefits. We hope this helps! See our Retirement Planner: If You’re Divorced for other eligibility requirements and more detailed information. To see if you qualify for a higher benefit than what you are currently receiving, you may call our toll free telephone number at 1-800-772-1213. Representatives are available Monday through Friday, between 7 a.m. and 7 p.m. or contact your local office directly. upon the Huge Star Libra Penang Phuket Krabi cruise. My wife started taking my spousal benefits at her full retirement age. At the time I applied and then suspended my benefits. I received my first benefit today. When I applied to have my benefits start I thought I requested that the spousal benefits she was receiving end. However today in addition to my benefit she still received a spousal benefit payment as well. I want to stop that benefit so she can receive benefits under her earnings record next year when she reaches full retirement age. Is that possible? Thank you. Hi John, thank you for your question. When someone files prior to their full retirement age, and they are eligible for benefits both as a retired worker and as a spouse, they must apply for both benefits and they’ll receive the higher of the two benefits. This requirement is called “deemed filing” because when you apply for one benefit you are “deemed” to have also applied for the other. To inquire about potential benefits, your wife will need to contact her local office or call our toll-free number at 1-800-772-1213. Representatives are available Monday through Friday, between 7 a.m. and 7 p.m.
Hi Vonda. Thanks very much for your response. I made a mistake in the wording of my original question. My wife started receiving spousal benefits under my earnings record back in 2016–her full retirement age. I wanted to stop those spousal benefits now that I’m collectiing benefits. I want for her to start collecting under her own earnings record in Feb 2021 when she turns 70. Is that possible? Thank you. Hi, John. Your wife will need to contact us at 1-800-772-1213, Monday through Friday, between 7:00 a.m. and 7:00 p.m. to schedule an appointment to file for benefits on her own record. She can also contact her local Social Security office for assistance. We hope this helps. My friend was married to a man in the Navy. While he was there, he got injured. He died at 46 yrs. old, and my children received Social Security. Was she, or is she, entitled to Widows’ Pension at the time ? I am writing for her, as she is unable to type, and would like to get a quick answer. Hi there. It sounds like she may be eligible for mother’s benefits. Those are typically payable to the deceased’s’ widow at any age if caring for a child under the age of 16 or disabled. To inquire about potential benefits, she will have to contact her local office or call our toll-free number at 1-800-772-1213. Representatives are available Monday through Friday, between 7 a.m. and 7 p.m.
Could you please explain how much a spouse gets when the worker is still ALIVE? Thanks, lots of articles about survivors benefits, can’t find any definitive answer if both husband and wife are still living. Hi, Tom. Thank you for your question, Teri. To qualify for spouse’s benefits, your spouse must be receiving retirement or disability benefits. Also, when you qualify for Social Security benefits on your own record, we pay that amount first. But if you also qualify for a higher amount as a spouse later on, you’ll get a combination of benefits that equals that higher amount. Visit our Retirement Planner: Benefits For You As A Spouse for more information. We hope this helps. Hi, Shirley. It sounds like you are referring to survivors benefits. The amount of your widow’s benefit is based on several factors, including: the earnings of your husband, when he started receiving his benefits, your age, and the amount of your own retirement benefit. We compare your own benefit with your potential survivor benefit. If your survivor benefit would be higher than your own current retirement benefit, you would be eligible for survivor benefits. To learn how much you could be eligible for, please call our toll-free number at 1-800-772-1213 (TTY 1-800-325-0778). Generally, you will have a shorter wait time if you call later in the day. If you have not reached the required age, you can also visit our page, Survivor Planner: If You Are The Survivor. We hope this helps! I am a Civil Service Retiree, my husband of 66 years passed away on 2/14/2019. Am I entitled to any of his Social Security? Hi, Mary Lou. We are sorry to hear about your loss. Keep in mind that a pension based on work that is not covered by Social Security (for example, Federal civil service and some State or local government agencies) may cause the amount of your Social Security benefit to be reduced. Your survivors benefits can be reduced based on the Government Pension Offset provision. For more information, check out our Benefits Planner: Government Pension Offset (GPO) web page. We hope this helps. My husband died at age 59-in 2007. 5 years later at age 62 I took my SS Benefit. At full retirement age, 66, I switched to his retirement SS, because it was higher. How is this amount figured out- is the SS I receive partially my SS and partially his? Hi, Kathy. If you were eligible for retirement benefits (but had not applied yet), you had an option. You could apply for retirement or survivors benefits then and switch to the other (higher) benefit at a later date. It sounds like this is your case. However, for security, we do not have access to private information in this venue. For further specific questions regarding your benefits, you can contact us at 1-800-772-1213, Monday through Friday, between 7:00 a.m. and 7:00 p.m. We hope this helps. My husband will begin receiving his SS in November at 70. He was born in 1949 and would have been able to file and suspend under the old law when he was full retirement age, however, he did not. Our daughter was 16 at the time and would have been able to receive child benefits from that time until May 2018 when she graduated from high school. Is there any way to retroactively apply for child benefits for her. She is a young child with retiring parents and we just discovered this missed $30,000.00 that could have helped her. Thing about getting married. My fiance is receiving SSI I am receiving SS Retirement and working part-time. What are the benefits and/or penalties? Hi, Donna. Thank you for your question. If your fiance is receiving Supplemental Security Income (SSI), your marriage may affect his benefit. If you receive retirement or Social Security disability insurance (SSDI) benefits, your marriage will not affect your benefit. For more information on how marriage affects benefits, visit our Frequently Asked Questions. We hope this helps. I recently read about my spouse being eligible to receive my social security benefits after my death. There’s a significant age difference between myself and my spouse. Me being much older. Is this correct, that my younger spouse is eligible to receive my social security benefits in the event of my death? Hi, Robert. Thanks for your question. Your wife could be eligible for reduced widow’s benefits as early as age 60 (age 50 if disabled). For more information, please go to our Survivors Planner page and read our publication, How Social Security Can Help – When A Family Member Dies. We hope this helps. The statement: “You cannot receive spouse’s benefits unless your spouse is receiving his or her retirement benefits” seems to be in contradiction to the SSA – Deemed Filing for Retirement and Spouse’s Benefits FAQs under “Can I restrict my application for benefits and apply only for spouse’s benefits ….” which seems to say that one born before January 2 1954 can apply for the spouse’s benefit before being deemed to file for the other thereby earning delayed retirement credits. due to being a stat at home Mom for 15 years. Hi Kathleen, thank you for your question. If you are divorced and currently unmarried, you may be able to receive benefits on your ex-spouse’s record if your marriage lasted 10 years or longer. For eligibility details, check out the Retirement Planner: If You’re Divorced. My husband passed away 8 years ago at the age of 52. I would like to start receiving his SS benefits when I turn 60 in a couple months. How does this work, and is there a limit as to how much money I can make at my present job? My Husband was killed by a drunk driver 9-3-1999 we were married on 3-22-1991 married for 8 years. I just turned 60 years old can I collect his social security while i am working full time? My husband is receiving his Social Security payments. I stayed home with our children and grandchildren. I worked briefly a couple times and have 10 credits. I was recently told I might be old enough, at 62, to apply and receive half of his amount. Am I able to do this now or not yet? What would I need to do? how long does a women be married to spouse before she recieves benifits..
My husband had started drawing at age 62 and passed away the following year. He is 2 years older then myself. I started drawing at 62 also. My ss is higher then his so I draw mine. My question is what happens to his ss? Do I qualify to receive social security benefits from my ex husband, we’ve been married for almost 24 years. I really need extra income. We were married March 10, 1989 and got divorced January 2013. I am not sure if he is still working. I don’t get social security only the yearly government retirement income. I don’t drive . My husband and I both receive social security checks…when he dies, do I as the spouse still receive both of our social security checks? This was a bit challenging to understand. Can you explain…..What is a “non working spousal benefit”… and who receives it? Hi Chris. If a spouse has never worked under Social Security, they may be able to get spouse’s retirement benefits if they’re at least 62 years of age and their spouse is receiving retirement or disability benefits. For more details, visit the Retirement Planner: Benefits for Your Spouse web page. I am not taking my social security. May I claim spousal benefits? Hi Robert, thank you for your question. We will always pay a person’s own retirement benefit first. If benefits as a spouse would be higher then the retirement benefit, you would also file for spouse’s benefits. If your own full retirement benefit is more than half of your spouse’s full retirement benefit, you would not file for spouse’s benefits. In addition, you may start receiving retirement and/or spousal benefits as early as age 62. My disabled husband died at 63. He was collecting SS Disability for 7 years. I am 54 and still working. Can I collect from his SS account? If so, when can I start? Can I delay mine and use his til I’m older, then switch to my own? Hi Lulu. We are very sorry for your loss. You may be eligible for reduced widows benefits as early as age 60 (age 50 if you’re disabled) and at any age if you’re caring for the deceased’s child who is under age 16 or disabled and receiving benefits on the deceased’s record. Survivor benefit amounts are based on your husband’s earnings. The more he paid into Social Security, the higher the benefits would be. The benefits will not be established automatically, you will have to contact us. For additional information, visit our Survivors Planner. If a person receives widow’s or widower’s benefits, and will qualify for a retirement benefit that’s more than their survivors benefit, they can switch to their own retirement benefit as early as age 62 or as late as age 70. The rules are complicated and vary depending on the situation. Talk to a Social Security representative about the options available. Hi Walter: If you receive a pension from a government job in which you did not pay Social Security taxes, some or all of your Social Security spouse’s, widow’s, or widower’s benefit may be offset due to receipt of that pension. This offset is referred to as the Government Pension Offset, or GPO. For additional details, check out our Government Pension Offset factsheet. Visit our Information for Government Employees web page for details. Thanks for your question, Mark. If your spouse qualifies for Social Security benefits on her own record, we pay that amount first. But if she also qualifies for a higher amount as a spouse later on, she’ll get a combination of benefits that equals that higher amount. She can contact us when you file for benefits to determine if she will be eligible. Visit our Retirement Planner: Benefits For Your Spouse for more information. We hope this helps. Would my spouses benefit be 1/2 of my delayed social security benefit amount at age 70? Hi, Henry. Thanks for your question. If you began receiving payments after May 1997, the payment date varies depending on your date of birth or in your case, your spouse’s date of birth. You can find the payment date on the Social Security benefit payment calendar. We hope this helps. I am 62, my husband 63, I am thinking of retiring by end of this year. Can I get a percentage of my husband’s SS even if he is not receiving his benefits yet. I was thinking of delaying taking my benefits so they could grow alittle more. Hi, Susan. To qualify for spouse’s benefits, your husband must be receiving retirement or disability benefits. Also, when you qualify for Social Security benefits on your own record, we pay that amount first. But if you also qualify for a higher amount as a spouse later on, you’ll get a combination of benefits that equals that higher amount. Visit our Retirement Planner: Benefits For You As A Spouse web page for more information. We hope this helps. Hi. For information in Spanish, please visit us at http://www.segurosocial.gov or http://www.facebook.com/segurosocial. For Social Security information in other languages, please visit us at http://www.socialsecurity.gov/multilanguage. Thanks! My husband passed away 1/27/2017. He was 80 years old and started collecting his benefits at age 62. I am 63 and still working. Can I collect any of his benefits while I’m working. I still do work 40 hours a week. I make $15.00 an hour. Hi, Patricia. We are sorry to hear about your loss. If you are younger than full retirement age and make more than the yearly earnings limit, your earnings may reduce your benefit amount. If you are under full retirement age for the entire year, we deduct $1 from your benefit payments for every $2 you earn above the annual limit. For 2019, that limit is $17,640. For more information, check out our Benefits Planner: Getting Benefits While Working web page. Thanks! If your spouse passes away can the other spouse collect the other ones benefits. How does ss work when a spouse dies? This is a most confusing attempt to explain spousal benefits that you could have written. Hi Monte, thanks for using our blog to ask your question. If you are already receiving benefits when you die, survivors benefits are based on that amount. The percentage of that amount that your wife would receive depends on how old she is when she files as a widow. We are only going to pay the highest benefit amount from either record, meaning she wouldn’t get both retirement and widows benefits but the higher of the two. My wife and I both worked and we are at retirement age. She is 66-67, I am 67-68 and I deferred mine collecting on hers till I reach 70 or when we really need it. Currently we both work. It was recommended to us to apply for hers now and we did. It’s an extra $14 thousand per year. When we did this, I stopped having access to my deferred SS account information. I think it is kind of strange that SS would do that as my SS earnings are in the order of 10 times my wife’s. We are able to “double dip” per the SS laws as we were born before 1954. How can I access my earnings and estimated SS income. We have choices to make concerning our retirement and that information is important to follow as we use it to determine our monitory profile for the coming years and will use it to determine the best course of action. Why did SS stop allowing me access to my information? Hi Jonathan, thanks for using our blog. You are correct, the Social Security Statement is not available to individuals that are receiving Social Security benefits. To inquire about your Social Security retirement benefits, you may call us at 1-800-772-1213 (TTY 1-800-325-0778), Monday through Friday from 7 a.m. to 7 p.m. or contact your local Social Security office. Hello, have a question regarding spousal benefit for social security. My husband is retired, I will be 65 in June but plan to keep working and not retired until age 67, can I receive spousal benefits until that time? Hi Maria, thank you for your question. You may be able to get spouse’s benefits but, under existing law, if you are eligible for benefits both as a retired worker and as a spouse, you must apply for both benefits and you’ll receive the higher of the two benefits. This requirement is called “deemed filing” because when you apply for one benefit you are “deemed” to have also applied for the other. See our Deemed Filing For Retirement And Spouse’s Benefits FAQs web page for details. Hi Jimmy, thank you for your question. You may be able to file for either retirement or widower’s benefits and switch to the other benefit later. Typically, a widower at full (survivors) retirement age or older generally receives 100% of the deceased worker’s amount, a widower under full retirement age receives about 71 to 99 percent of the worker’s benefit amount. For your security, we do not have access to your information in this venue and are unable to provide your options. To inquire about potential retirement benefits versus widowers benefits, you will need to contact your local Social Security office or call our toll free number at 1-800-772-1213. Representatives are available to help you Monday through Friday between 7 a.m. and 7 p.m.
can you get ss benefits from someone you haved lived with for over 20 years. he has been divorced for 2 years.i am 71 he is 76. Hi Jean, thank you for using our blog to ask your question. In cases where a common-law marriage may be involved, Social Security follows the state laws. So, check the laws in your state. To inquire about potential benefits, you will need to contact your local Social Security office or call our toll free number at 1-800-772-1213. Representatives are available to help you Monday through Friday between 7 a.m. and 7 p.m.
My ex-spouse died in 2009. We were married 14 years before we divorced in 2007. How do I find out how much his benefits are so that I know whether or not to file a claim for his benefits, or mine? Hi, Chrystine. If you are the divorced spouse of a worker who died and you are not married, you could get benefits just the same as a widow or widower. For more information, visit our Benefits Planner: If You Are The Survivor web page. For specific questions about potential benefit amounts, you can call us at 1-800-772-1213, Monday through Friday, between 7:00 a.m. and 7:00 p.m., for assistance. Generally, you will have a shorter wait if you call later in the day. You can also contact your local Social Security office. We hope this helps. If my retired spouse dies, and I am not of retirement age, do I receive his benefits? I am a homemaker and have not earned enough for my own social security benefits. Hi, Sharon. You are eligible to apply for survivor benefits when you reach age 60 (age 50 or over if disabled). You can find more information on our Benefits Planner: If You Are The Survivor web page. We hope this helps. The last time I received my retirement benefit was May 2016. SSA officials have just refused to pay me and have failed to let me know the reason(s) for the nonpayment. I had sent some mails literally begging to know the reason(s) for their action, but all to no avail as the action persists. I have suffered unnecessary punishment for no fault yet known to me. It appears the government gave SS too much power including garnishing retirement benefits of seniors, some over the age of 70. This, no doubt is ludicross, to say the least. Punishing people over 70 years of age, without reason, is to me, a sort of abomination . Hi, Olatunji. We are sorry to hear about your situation. For your security, we do not have access to private information in this venue. We ask that members in our Blog community to continue to work with our offices with specific questions. You can call us at 1-800-772-1213, Monday through Friday, between 7:00 a.m. and 7:00 p.m., for assistance. Generally, you will have a shorter wait if you call later in the day. You can also contact your local Social Security office. You can ask to speak to a manager on your next visit or call. We hope this is resolved soon. What is the process for switching from spousal benefit to my social security benefit at age 70? Hi, Florence. Since you are receiving benefits as spouse, you can call us for an appointment to file for benefits on your own record. Please contact us up to three months in advance. You do not have to make an appointment to come in to our offices, but with an appointment, you will be helped before our walk-in customers. You can schedule an appointment with your local office by calling us at 1-800-772-1213 between 7 a.m. to 7 p.m., Monday through Friday, and a representative will assist you. In most cases, you can handle your business by phone. We hope this helps. Questions on Restricted Qualifications & Applying. My husband and I are interested in the Restricted Benefits (meaning he can receive half of my benefits until he reaches 70 then he’ll get his full amount). He has not yet applied for SS benefits and he will be in FULL qualification in September. He was born in September 1953. I am 60 now and will be turning 62 in July 2020, next year. I was born in July 1958. My question is since I can’t retire until July next year, do we qualify for my husband to receive the restricted benefit until he turns 70? It’s my understanding that the Restricted Benefit will be phasing out this year. Because of my husband’s birth date he does quality. The problem is me. I’m not 62 yet so how can we do this? Can we still do it next year since he does qualify? Or is there something we need to do this year. Hi, Nitza. Thanks for your question. Generally, if you qualify and apply for your own retirement benefits and for benefits as a spouse, we always pay your own benefits first. If your benefits as a spouse are higher than your own retirement benefits, you will get a combination of benefits equaling the higher spouse benefit. If you were age 62 prior to January 1, 2016, and file for benefits at full retirement age, you can choose to receive only the spouse’s benefit and delay receiving your retirement benefit until a later date. For more information about deemed filing, check out our Benefits Planner: Retirement. We hope this information helps. I started collecting my full workers benefit at 66. If my husband decides to file and collect his benefits at 63 will be both be able to collect our benefits with no reductions? Thanks for your question, Kate. Your husband’s payment amount is based on when he decides to start his benefits. If he chooses to get benefits before full retirement age, they will be reduced. The amount he receives when he first gets benefits sets the base for the amount he will receive for the rest of his life. His benefits are reduced a fraction of a percent for each month before his full retirement age. For more information, visit our Benefits Planner:Retirement web page. We hope this helps. Can I ask SS question here? It is hard to get a good answer locally. Hi, Doug. Thanks for your question. Through our Blog we respond to questions and provide general information on our Retirement, Survivors, Disability, Medicare and SSI programs. If you have a general question, we encourage you to ask it here. But remember; never post personal information on social media. For specific questions, feel free to call us at 1-800-772-1213 (1-800-325-0778), Monday through Friday, between 7:00 a.m. and 7:00 p.m. We hope this helps. If I remarry after age 70 and my new spouse is also over 70, how long must we be married to receive our spouses benefits if they pass on and are higher than my own? I am trying to find out estimated monthly SS payment under my deceased husband’s benefit and when I go under MY SS and sign in I only see my benefit. I am planning on retiring December 31 2019. If you could please direct me I would most appreciate this. Thank you and have a nice day. IM DISABLED, & UNABLE TO WORK. I HAVE BEEN RECEIVING DISABILITY SS BENEFITS EVER SINCE MY SS BENEFITS WERE COURT ORDERED. MY EX-WIFE IS GOING TO TRY AND SUE ME ONCE AGAIN TO RECEIVE MY SS BENEFITS, EVEN THOUGH SHE HAS WORKED MOST OF HER ADULT LIFE! IF I COULD WORK, BELIEVE ME I WOULD IN A HEART BEAT, BUT I CAN’T,; FURTHERMORE, MY HEALTH CONTINUES TO WORSEN! AT ANYTIME, IS MY EX-WIFE ENTITLED TO ANY OF MY SS BENEFITS? MY ATTORNEY STATES NO! JUST FOR MY OWN PIECE OF MIND, I NEED TO KNOW WHAT TO EXPECT, PLEASE??? My spouse is at full retirement age & is collecting SS Benefits. I reach full retirement age in September 2019. I was born in 1953. May I file a restricted application on my spouse’s earnings & start collecting in September 2019 & then receive higher benefits when I reach 70 years old? My husband passed away in April of 2015. He was receiving Social Security Disability. I will be turning 60 in September of 2019. I understand that I will have to go to the Social Security Office to apply for Widow’s Benefits. Do I need a replacement Social Security Statement for my husband? I want to make sure I have the right documentation when I go. I’m currently get survivor spouse benefits. When I begin to receive my SS benefit will that be added to my survivor benefit or replace part of what I’m getting now? Hi, Sarah. If your retirement benefit would be higher than your current survivors benefit, you can switch to the higher benefit. For more information, check out our Benefits Planner: If You Are The Survivor web page. We hope this helps. How long must one be married in order to receive spousal benefits. My partner is retired and receiving benefits. I am 62 1/2 yrs old and still working. We are not marriaged presently. Hi, Rigoberto. For your second wife to qualify for spouse’s benefits, you must be receiving retirement or disability benefits. Also, if she qualifies for Social Security benefits on her own record, we pay that amount first. But if she also qualifies for a higher amount as a spouse later on, you’ll get a combination of benefits that equals that higher amount. Visit our Retirement Planner: Benefits For Your Spouse for more information. We hope this helps. I’m 52 and on disability SSI, can I claim my ex husband’s social security if it’s higher than mine? He’s still presently employed. I have never remarried. We divorced after 11 years of marriage. Hi, Cynthia. To be eligible for divorced spouse benefits, you had to be married to your former spouse for at least 10 years, your former spouse has to be entitled to a Social Security retirement or disability benefit, you must be age 62 or older, and you cannot be eligible for a higher benefit on your own record. For more information on how to qualify for divorced spouse benefits, visit our Benefits Planner: If You Are Divorced. Hope this helps! If you marry after retirement and a spouse dies, do you receive their social security benefits or is there a waiting time? We are a healthy 67 & 64 and both receive SS benefits. Hi, Karen. A surviving spouse may be eligible for benefits. For more information, please go to our Survivors Planner page and read our publication: How Social Security Can Help – When A Family Member Dies. We hope this helps. My husband and I were born in 1941, We both retired at age 65. Husband took his full benefits; I took my full benefits,too. His benefits are higher than mine. In the event his death is before mine I understand I would be entitled to his full benefits rather than mine. . Is this correct? Hi Beverly, thank you for your question. The amount of your widows benefit is based on several factors, including: the earnings of the person who died, when the deceased worker started receiving their benefits, your age at the time of your spouse’s death, and the amount of your own retirement benefit. We compare your own benefit with your potential survivor benefit. If your survivor benefit would be higher than your own current retirement benefit at the time of your spouse’s passing, you would be eligible for survivor benefits. If I read this correctly, it means that both spouses must be at full retirement age in order to benefit 50% of the others benefit, if it’s less than the amount of the other’s benefit. Correct? I want to know this answer as well. And if true, what is the percentage of receiving spousal benefits sooner that full retirement age? Hi Michael, thank you for reading our blog post. We will always pay a person’s own retirement benefit first. If their benefits as a spouse are higher than their own retirement benefits, they will get a combination of benefits equaling the higher spouse benefit. However, keep in mind that a spouse’s benefit cannot exceed one-half of the worker’s full retirement amount (not their reduced benefit amount). So, a person is only going to receive additional spouse’s benefits if their own full retirement benefit (not their reduced benefit) is less than half of their spouse’s full retirement benefit. For example, if a worker’s full retirement benefit amount is $1,100, the spousal benefit is 50 percent of that, or $550. However, if that spouse is eligible for a full retirement benefit on their own record of $400, then their actual spouse’s benefit would be an additional $150 which equals that 50 percent. If the spouse waited until their full retirement age to file, they would receive one payment of $550, even though $400 was from their own retirement record and $150 was from their spouse’s record. Spouses benefits are reduced if the individual files prior to their full retirement age. My wife began taking her social security at 62 because she missed the “file and suspend” by 1 month. I turned 65 this February and applied for my social security. My wife applied for spousal benefit at that time. The Social Security employee told us my wife would get an additional $238.00 added to her benefit for her spousal benefit. That has not happened. How do we get this corrected? Hi George, thank you for using our blog. For your security, we do not have access to your information in this venue. To inquire on the status of the spousal benefits, your wife will need to contact your local Social Security office or call our toll free number at 1-800-772-1213. Representatives are available to help you Monday through Friday between 7 a.m. and 7 p.m.
My wife and I will turn 66 in June 2019. She retired in 2008. I will retire in 2025. She will apply for SS in June 2019 and I will apply for spousal benefits in June 2019. Do I need to file and suspend to receive spousal or can I simply apply for spousal? Hi John, thank you for your question. Because you turn 62 before January 2, 2016, deemed filing rules will not apply to you. This means that you may file for either your spouse’s benefit or your retirement benefit without being required or “deemed” to file for the other. In your case, you are asking to restrict your application to apply only for spouse’s benefits and delay filing for your own retirement in order to earn delayed retirement credits. To do this, you file for spouse’s benefits on your wife’s record, you do not file and suspend. My Wife is pulling her benefits from her late husband’s ss account. My question is can I pull a partial benefit from her SS account. I am 68 and have not started my benefits and will not until I am 70 and my wife current age is 71. My husband collects full retirement benefits (66 birth 1953) and we are considering for me collecting spousal benefits at 62 (full retirement for me is 2025 & 8 months birth 1959). I see that reduced earnings would be 50% but I’m guessing that applies to me collecting when I am eligible in the future at full retirement age. So what reduced earning percentage would be for me collecting spousal benefits before I am eligible for full retirement benefits in 2025 & 8 months. I also have read numerous replies and read that other benefits may be reduced if taking spousal benefits earlier that full retirement age as well??? I hope I misunderstand. Looking for percentage so I know if I should collect spousal benefits @ age 62 please. Hi, Debbie. Thank you for your question. To qualify for spouse’s benefits, your husband must be receiving retirement or disability benefits. Also, when you qualify for Social Security benefits on your own record, we pay that amount first. But if you also qualify for a higher amount as a spouse, you’ll get a combination of benefits that equals that higher amount. Visit our Retirement Planner: Benefits For You As A Spouse for more information. Your payment amount is based on when you decide to start your benefits. If you choose to get benefits before full retirement age, they will be reduced. The amount you receive when you first get benefits sets the base for the amount you will receive for the rest of your life. Your benefits are reduced a fraction of a percent for each month before your full retirement age. We hope this helps. Does the $4484 max family benefit apply if both spouses claim their own benefit based on their own work history? My wife turns 66 in Nov and will claim her SS Benefit. I will turn 65 in Sept. Can I claim my SS Benefit, but do a Delayed Benefit and be able to claim 50% of my wife’s SS ? Do I need to be 66 before I could do this ? I would like to delay my SS until I reach 70. Hi, Daniel. Thanks for your question. Keep in mind when you qualify for Social Security benefits on your own record, we pay that amount first. But if you also qualify for a higher amount as a spouse, you’ll get a combination of benefits that equals that higher amount. For more information, check out our Frequently Asked Questions. We hope this helps. I have been receiving my deceased husband’s Social Security benefits since 2015. I am wanting to contact the administration and ask that money be withheld for 2019 taxes. I cannot find my login information and when asked for help with it was told my information is not in the records. Can you please help me get logged in? Thank you. I received a letter from social sec admin informing me that I may be eligible for spouse’s benefits. I thought I could only receive that benefit after his death. My spouse is alive and currently drawing his social security and I am receiving mine which is about a third of what he receives. Am I eligible to draw this benefit? I am trying to fine out if my wife & I are receivings the correct amount. I have been trying to find out when we actually started to receive benefits. How do i look this up? How and when do I apply for 1/2 of my husbands social security. I will be 66 on 5/22/2019. I will not claim mine until age 70. I am receiving social security. My wife will file for social security in five more years. What may we expect our total income from social security to be? Hi, William. Thanks for your question. We have an online calculator where your wife can test various scenarios and retirement ages to estimate your benefits. She can also create a personal my Social Security account to review estimates of her retirement, disability, and survivors benefits, her earnings record, and the estimated Social Security and Medicare taxes she’s paid. Finally, in order for her to qualify for spouse’s benefits, you must be receiving retirement or disability benefits. Also, when she qualifies for Social Security benefits on her own record, we pay that amount first. But if she also qualifies for a higher amount as a spouse, she’ll get a combination of benefits that equals that higher amount. Visit our Retirement Planner: Benefits For Your Spouse for more information. We hope this helps! – At age 67,how much can I expect to receive in SS benefits per month in 2019 (exactly 1 year beyond my FRA)? – After I start receiving SS benefits, my wife will also be 67 (exactly 1 year beyond her FRA). Will she be able apply and collect 50% spousal benefits from my record? – How much can my wife expect to receive per month if Spousal benefits are more? I understand all amounts will be approximations.